OzTiming is an Australian-based timing contractor that specialises in timing a variety of large participant races. We employ the latest techniques and technology to achieve industry leading results in many different applications such as running, swimming, cycling, triathlons, skiing and multi sport events. With 8 years experience and over 350 events, the OzTiming staff have the knowledge and the capacity to time many unique and challenging races. 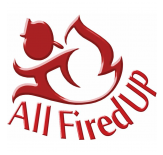 We have personally been involved in many events ranging from high profile marathons to smaller club-based events. We have the technology and experience to time events that boast 20,000+ competitors with precision and accuracy. Our flexible pricing structure means we are also perfect for smaller club events. OzTiming uses the powerful German-Engineered Race|Result Timing Systems to deliver exceptional results using RFID technology. This system is one of the leading systems in the world and allows OzTiming to deliver exceptional results. Sporting clubs are at the core of OzTiming’s business and our services are specifically designed with their events in mind. However we also have the technology and know-how to time for other organisations such as schools. We can take the time-consuming process and stress away from teachers and free up valuable time. 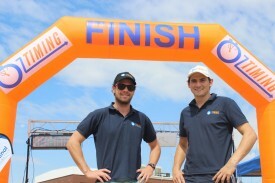 Sam Hunt and Nick MacRae started OzTiming with the ambition of providing the best experience to competitors and organiser alike. Therefore the company has been built on this and is continually looking to improve the experience. Our varied experience and brilliant technology has provided OzTiming with the tools to tackle any event and produce outstanding outcomes for event organisers and competitors alike.